I have been camping in our yurt, pitched on top of a hill at Start Point in South Devon with wide views over Start Bay and beyond. 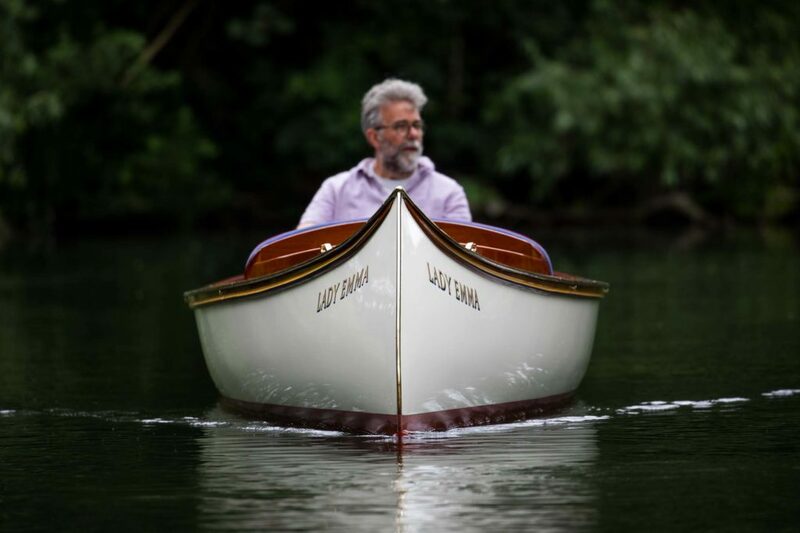 Since my last entry back in May the motor canoe, “Lady Emma”, has been finished and launched. 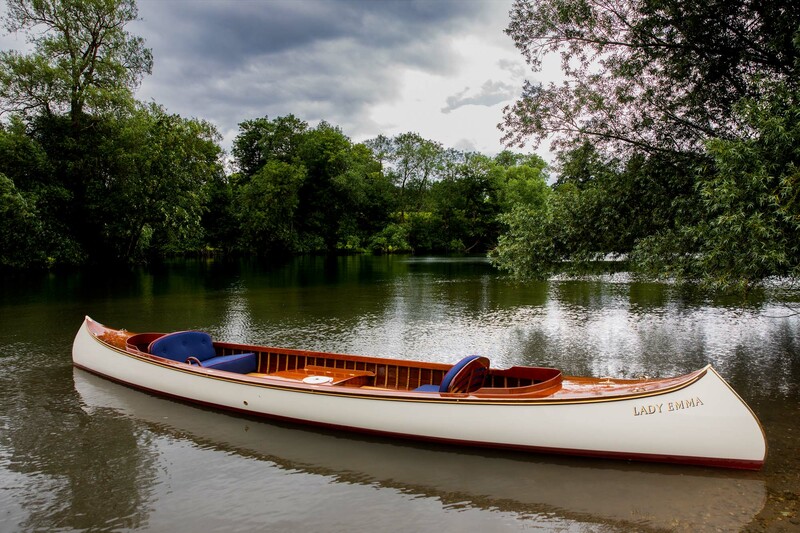 She won two trophies at the Thames Traditional Boat Festival – The Osland Trophy for best re-build and The Simmonds Trophy for the best electric boat. So everyone was very happy and it proved that there is life in the old dog yet! “Avail” has had a new transom and many other repairs. 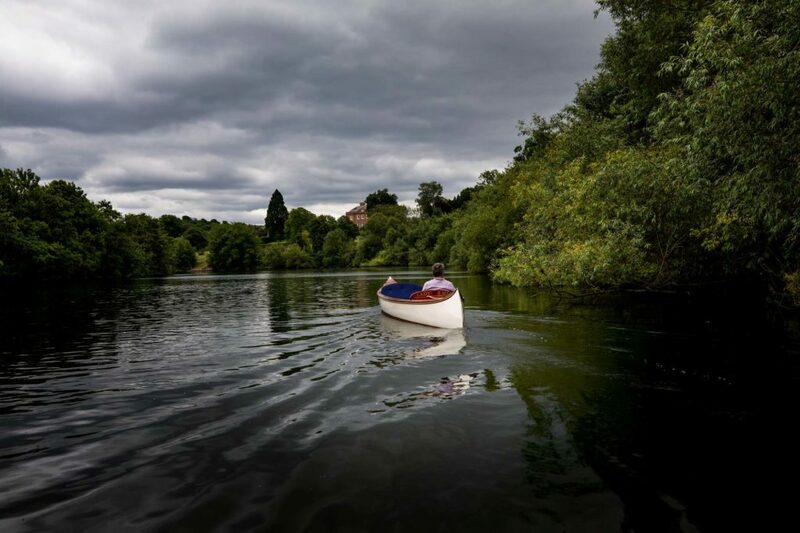 She is a 26ft Northumberland Coble built by Hector Handyside in about 1977. 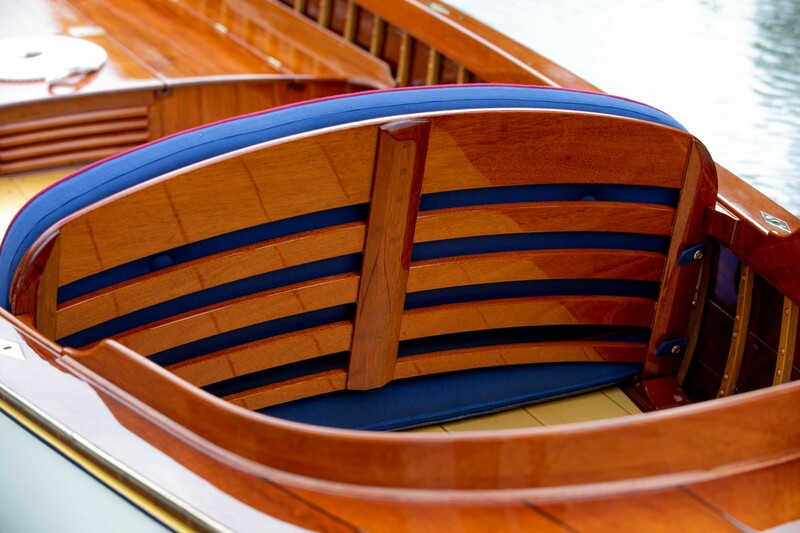 An extraordinary piece of fine boatbuilding within an equally extraordinary East Coast tradition. 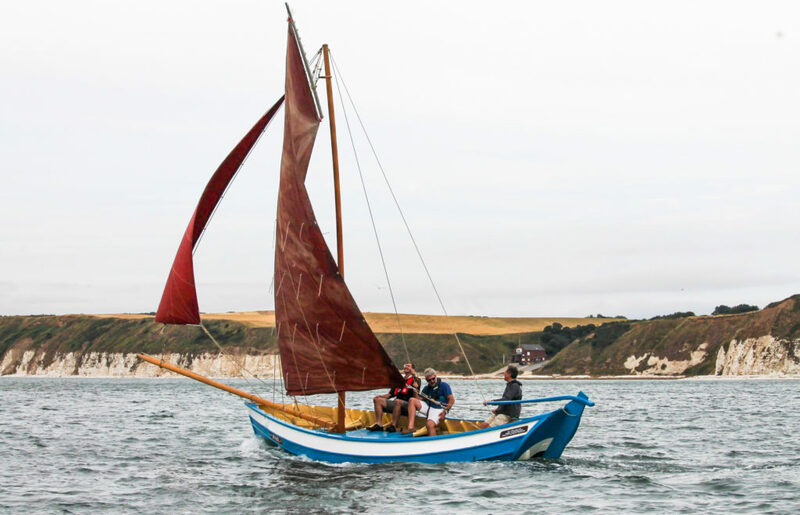 A couple of weeks ago she stole the show at the Bridlington Sailing Coble Festival sporting her new sailing rig and leaving the rest of the fleet in her wake. Back at the workshop I am about to get going on “Daring”, an Uffa Fox International 14 built in 1930. 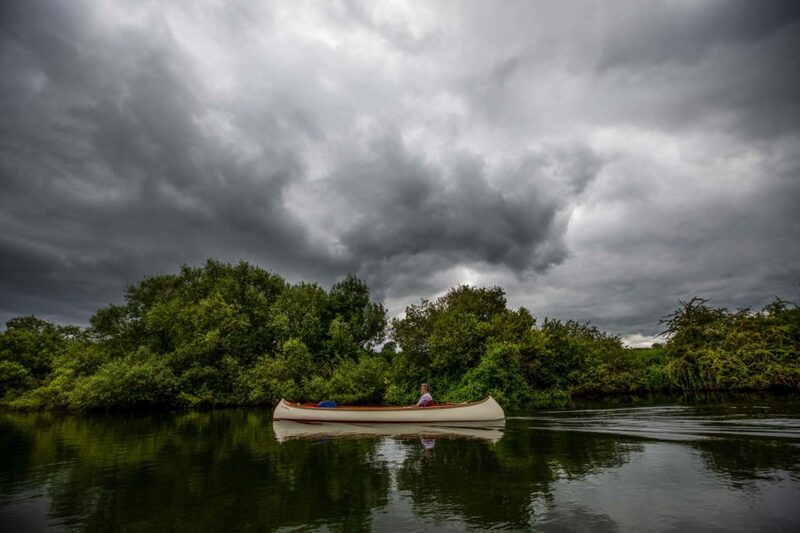 She needs to be recovered from some misguided re-build work below the waterline. This will be a tricky and delicate job to give her back her shape and strength.